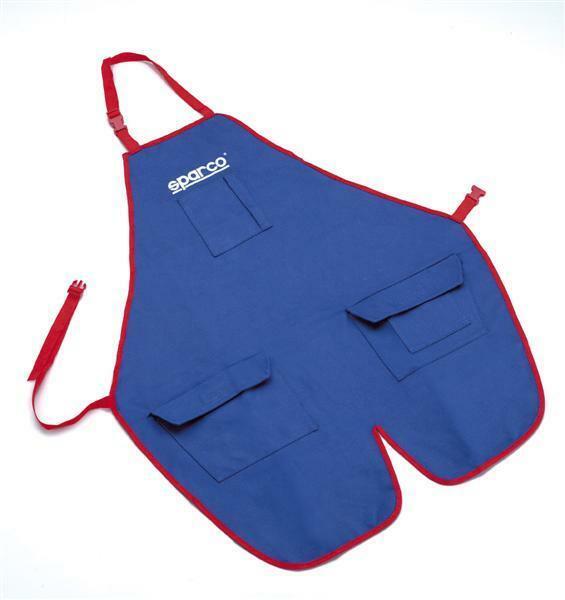 Sparco’s crew aprons were designed with input from racing mechanics the world over. Their invaluable feedback helped design an apron that is perfect for racing. Deep front pockets at thigh level store valuable tools, while the chest pocket is perfectly designed for pens, papers and other race necessities. An adjustable snap closure ensures fit. Available in black and blue.